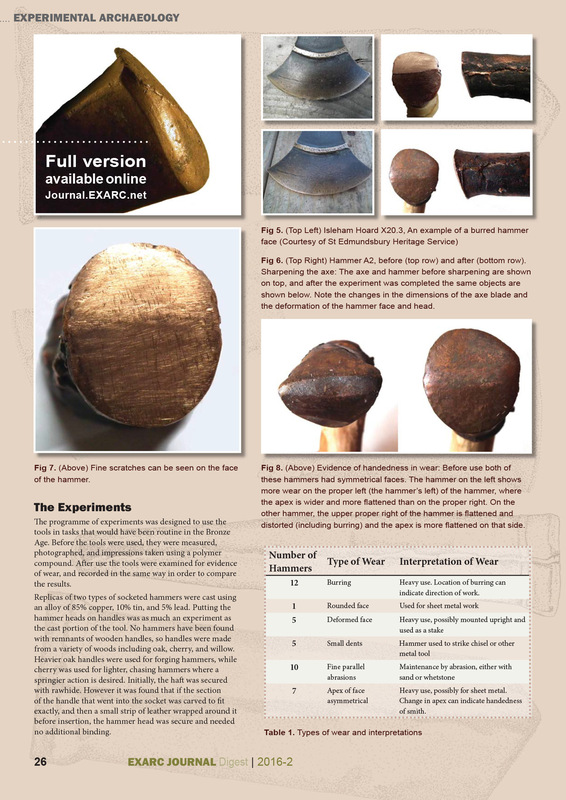 The autumn 2016 Digest showcases choice articles from EXARC Journal issues 2016/2 and 2016/3. 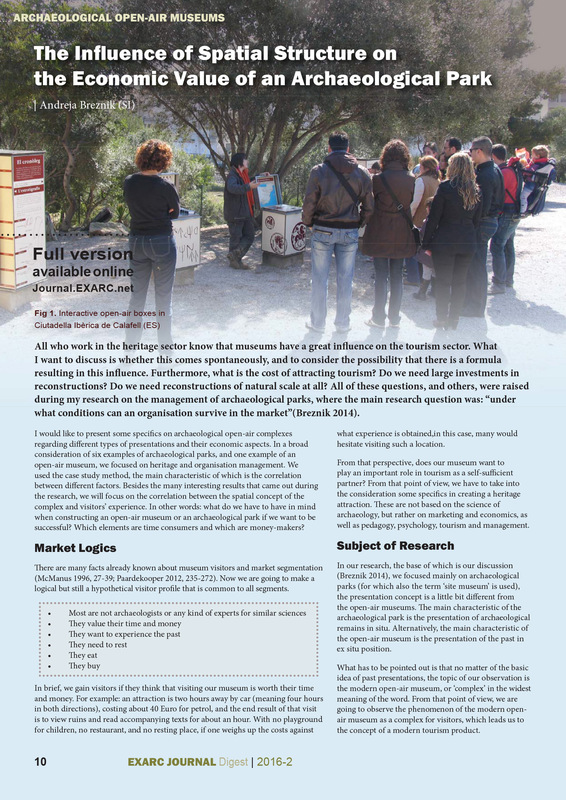 We hope that the Journal serves as a discussion and information platform, allowing us to share experiences and track what is happening with archaeological open-air museums and experimental and experiential archaeology throughout the world. 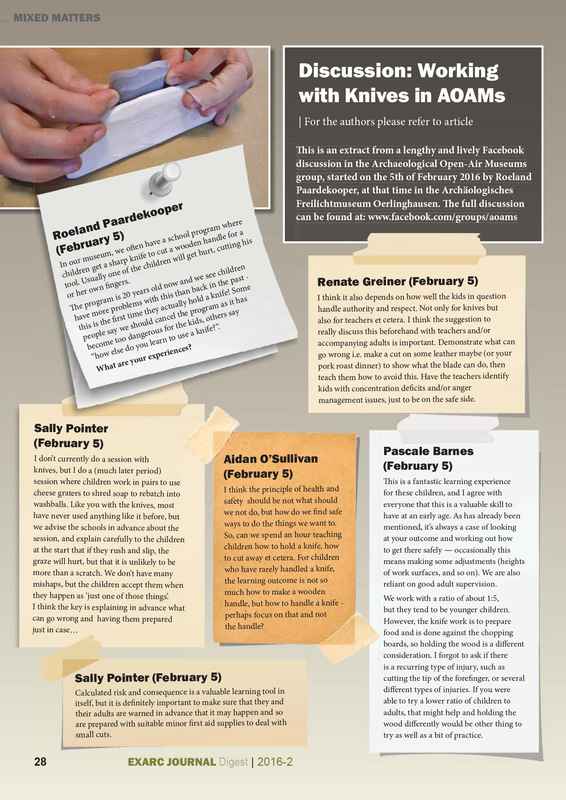 The Digest brings samples from different parts of the globe, including Germany, Italy, the Netherlands, Slovenia and the United States. 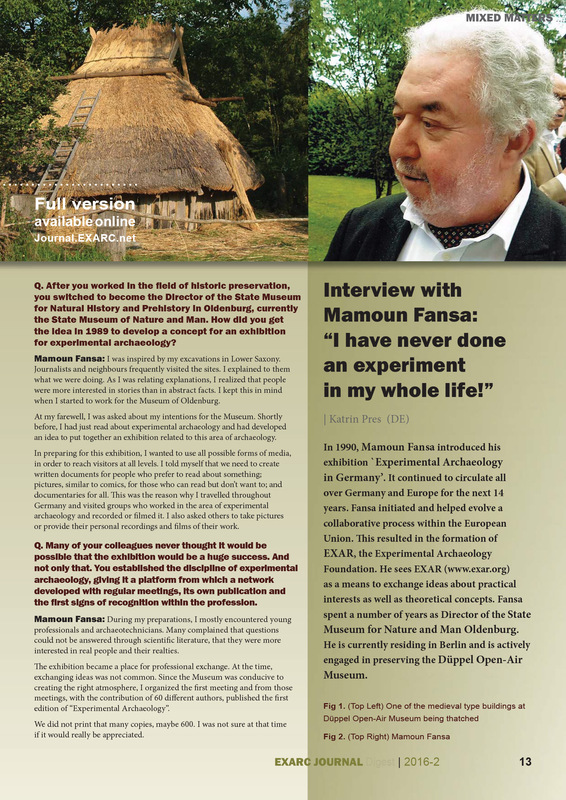 We are especially excited about Katrin Pres’ interview with Mamoun Fansa, in which they discuss the importance of public engagement and communicating archaeological findings. 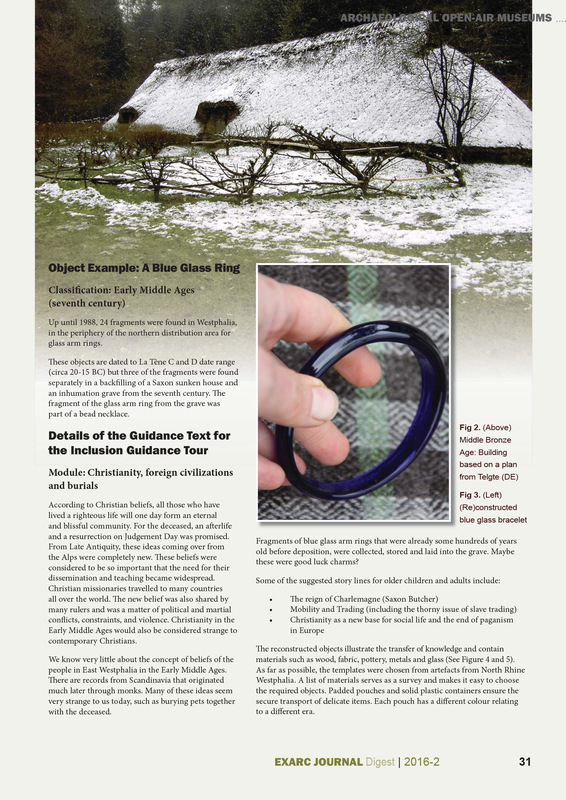 Other articles include a look at the spatial structure (routing) of archaeological open-air museums, a tour with hands-on objects (not just for blind people). 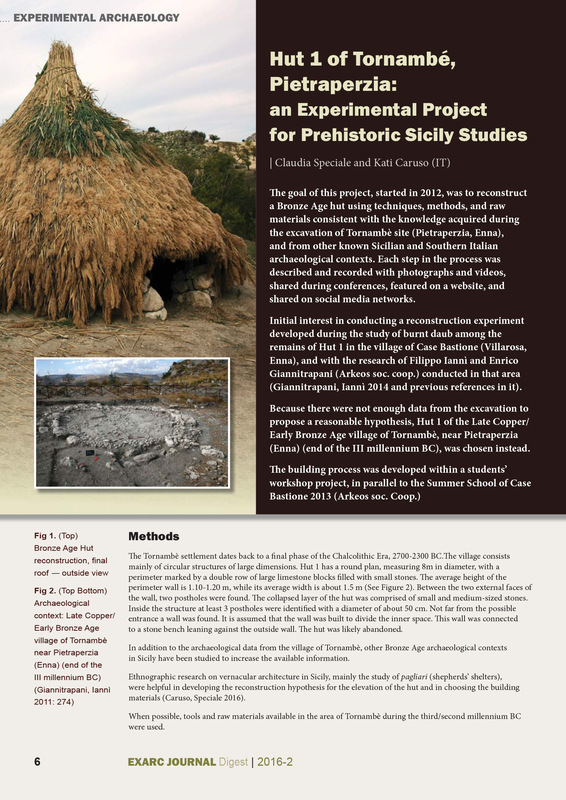 Under experimental archaeology, we discuss a Sicilian project with building prehistoric huts and use wear on Late Bronze Age hammers. 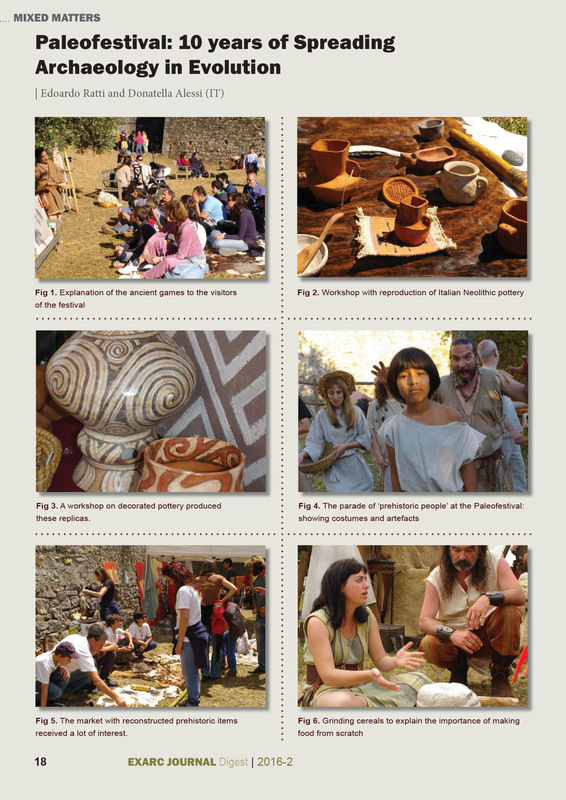 And do you know how to cook in baskets using hot rocks? 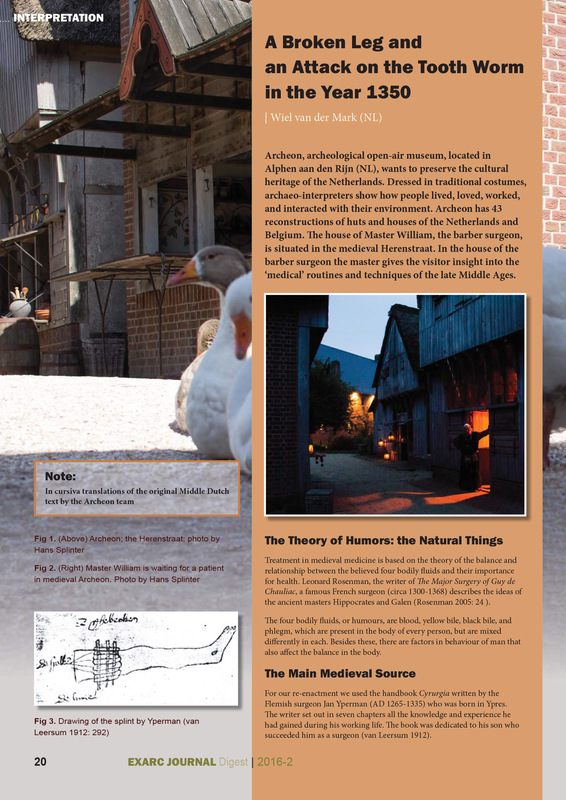 Under Interpretation, we discuss medicins in the Middle Ages, including broken legs and an attach on the tooth worm.